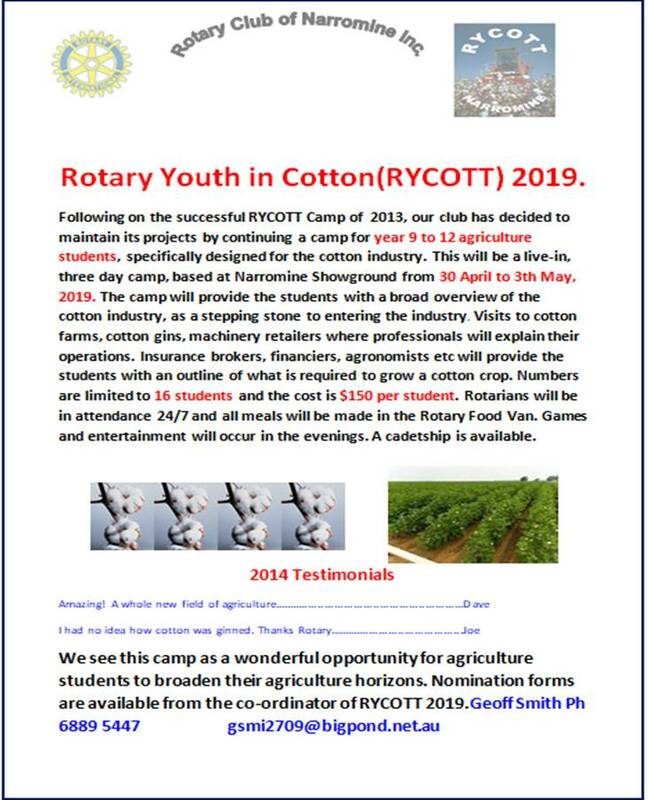 This is a three day program for year 9 to 12 agriculture students wanting to have knowledge of the cotton growing industry. Sixteen students are invited (two from each school) on a first in first placed basis. 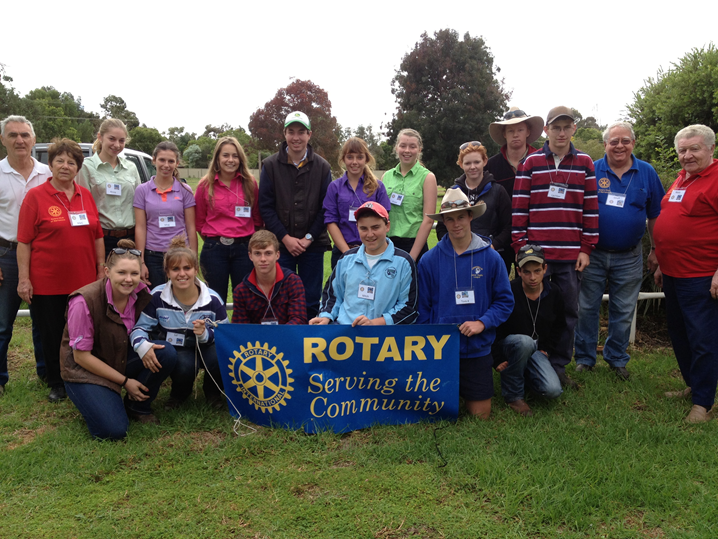 The students are accommodated at the Narromine Showground under the supervision of two Rotarian couples. Students studying agriculture will only be accepted. Like RYCAGS, schools nominate students early and most places are taken early. Students are attracted from a 200 k radius of Narromine. The students visit two cotton farm, two cotton gins, an aerial spraying business, a machinery retailer and an irrigation system. Professionals lecture the students on genetic modification, agronomy, financing and insuring a cotton crop, life as an agronomist, fertilizers, etc. The students form teams for night games. Most of the students are from working farms but as cotton growing is restricted to defined areas, most students are do not have a clear understanding of cotton growing. Those students wanting to follow a career in agronomy are strongly encouraged to attend this camp. 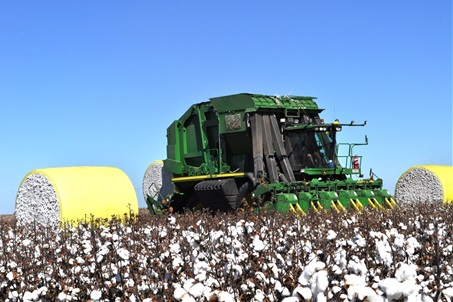 A $2000 cadetship is offered to students wanting to pursue an agriculture career emphasising on the cotton industry. The cadetship is sponsored by RYCOTT and Cotton Seed Distributors. It entails a visit to a cotton farm, a few days with consulting agronomists and a week at CSD. The cost is $195 per student and a bus is hired to transport the students around the district. Because of the exceptional cotton season in 2018, the students witnessed a great camp. 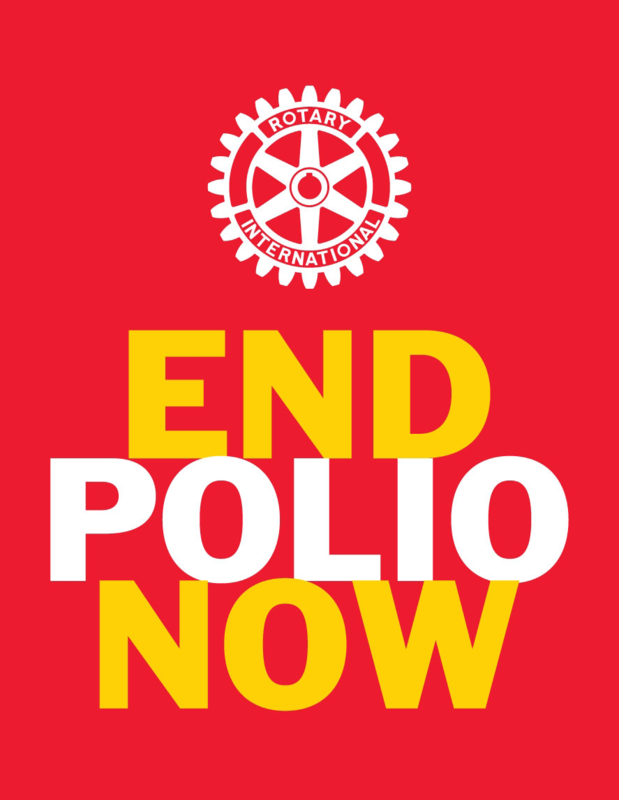 However with the prolonged drought and lack of water the 2019 camp to be held in May is in grave doubt.